A BUMPER sun of £317 has been raised for the Studley on the Map crowdfunding project thanks to the latest coffee morning by Studley in Bloom. Chairman Gill Liebthal said visitors and residents came out in force to support the event which was held in the village’s Co-op supermarket. 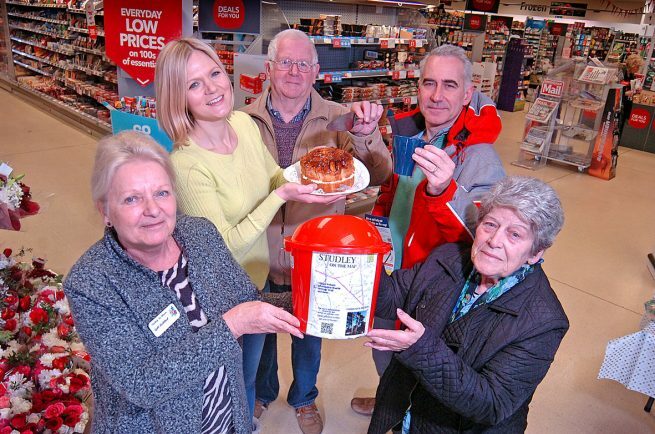 “We had lots of cakes and a raffle and we’re really pleased with how it all went,” said Gill. The ambitious Studley on the Map project aims to raise £35,816 to do just that – create a website showcasing all that’s great about the village and highlighting forthcoming events – and to put up finger posts and road signs to point people in the right direction to discover its hidden treasures. So far an amazing £22,267 has been raised but with just a few days left to go – the money must be raised by March 2 or returned to donors – the race is on to find donors to help the cause.